Community Partners Working with Saints' Pantry Food Bank. 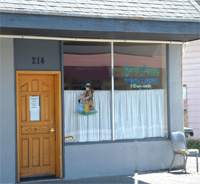 The Saints’ Pantry has been approved to be a recipient of the ViSalus Community Challenge. The one area of GREAT need is for quality non-perishable protein for children and families. What the Community Challenge provides is the ability for churches, individual’s as well as local businesses can help donate $24 for 60 meals for children/30 for adults. ViSalus will match that $24 with another $24 and send to the Saints’ Pantry one V–Shake pouch on their behalf. “Coach Cathy” Buchanan. RN, BSN; former School Nurse for the Olympia School District; Credentialed Health Teacher K-12; High School Volleyball Coach (Head “C” Team) for Capital High School. Shelton resident since 2009. Coach Cathy works with the community regarding helping our area homeless as well as working with the Mason County Health Department’s Eating for Health Initiative. GOAL: Focusing on healthy eating & being active to help change the lives of individuals & families for generations to come ~ creating a living legacy. Touching every area in our community: business, civic, government, schools (public & private), churches, tribes, law enforcement, families and individuals. 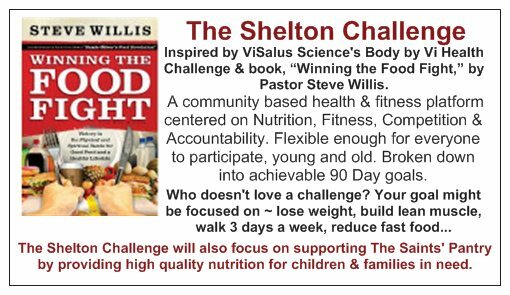 The Shelton Challenges main focus alongside eating for health & activity is contributing to our communities food pantry with the ViSalus Community Challenge. Listen to Pastor Steve Willis share what a difference the Community Challenge is for his local community in Huntington, WV…once deemed the fattest, unhealthiest community in the nation. Contributions to the Saints’ Pantry can be made through Saint David’s ViSalus Giving website @ http://saintdavids.visalusgiving.com Each $24 donation feeds 60 child sized meals. ViSalus matches your donation and ships this non-perishable protein directly to the food bank…free shipping. 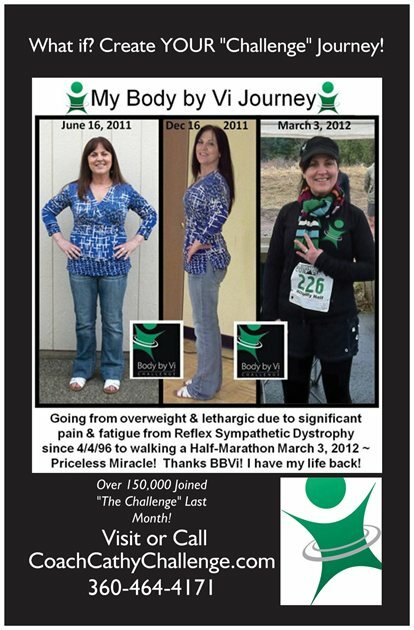 “The Shelton Challenge” is a community based health and fitness platform flexible enough for anyone to participate. This is not a diet, but a lifestyle change with 90 days segments to work toward creating healthy habits to last a life time. We believe that in order to truly make a transformation, it is vital to build healthy habits in four critical areas. Nutrition: Did you know that a whopping 80% of an effective weight-loss/fitness program is dependent on proper nutrition. Without proper fuel in your body, you won’t be able to reach your weight or fitness goals. Regardless of whether your desire is losing some weight or to get more lean & fit, without the nutrition element, your efforts will only give you minimal results. We have teamed up with ViSalus Sciences (Body by Vi 90 Day Challenge) as an option for those looking to help support their current nutrition plan. We also recommend using a great online tool & app to help monitor & keep track of your daily intake of nutrition and fitness activities, http://myfitnesspal.com (also an app for iPhone & Android). Medical studies show that keeping a food journal DOUBLES your weight loss! Includes a large database of foods to choose from & has the ability to scan a food item with the iPhone app to upload into your myfitnesspal.com online account. So easy!! Does include ViSalus products and a number of other meal plans. Fitness: It is also critical that you have an active lifestyle. Without proper fitness, you’ll be missing 20% of the equation in reaching your goals. “The Shelton Challenge” helps you to create healthy habits by participating in fun activities that will burn calories and build muscle. With the support of local fitness organizations, each participant has an opportunity to attend an assortment of fitness classes for all levels. There will also be available outside group activities as well as the option of leading your own fitness events. As The Shelton Challenge grows, additional workout facilities will become available in our community. To lead a group, please contact us @ coachcathyfitness@gmail.com. Accountability: This may be the most important aspect of The Shelton Challenge. Most of us have tried a variety of diet’s or activities to finally lose the weight we’ve seen added year after year…or perhaps have been noticing a decline in our muscle tone. We have the desire to make a change, however, we fail because we don’t have a group of people to walk alongside…to challenge, motivate and inspire us to push ourselves farther than we could do on our own. Research shows that participating with others towards reaching a health/fitness goal, increases a person’s rate of success x3. When you join The Shelton Challenge, you will be part of a growing group of people with similar goals and aspirations throughout our entire community. The best part! When you invite a friend/co-worker/family member/neighbor to join The Shelton Challenge, you will be building your own accountability group to help support your health goals. There may be a fee for the use of local participating facilities. Reaching Past Our Goals to Change a Community! ♦ Biro FM, Wien M. Childhood obesity and adult morbidities. Am J Clin Nutr. May 2010;91(5):1499S—1505S. ♦ Whitaker RC, Wright JA, Pepe MS, Seidel KD, Dietz WH. Predicting obesity in young adulthood from childhood and parental obesity. N Engl J Med 1997;37(13):869—873. ♦ Serdula MK, Ivery D, Coates RJ, Freedman DS. Williamson DF. Byers T. Do obese children become obese adults? A review of the literature. Prev Med 1993;22:167—177. ♦ National Institutes of Health. Clinical Guidelines on the Identification, Evaluation, and Treatment of Overweight and Obesity in Adults: the Evidence Report. Bethesda, MD: National Institutes of Health, U.S. Department of Health and Human Services; 1998. ♦ Freedman DS, Khan LK, Dietz WH, Srinivasan SR, Berenson GS. Relationship of childhood overweight to coronary heart disease risk factors in adulthood: The Bogalusa Heart Study. Pediatrics 2001;108:712—718.